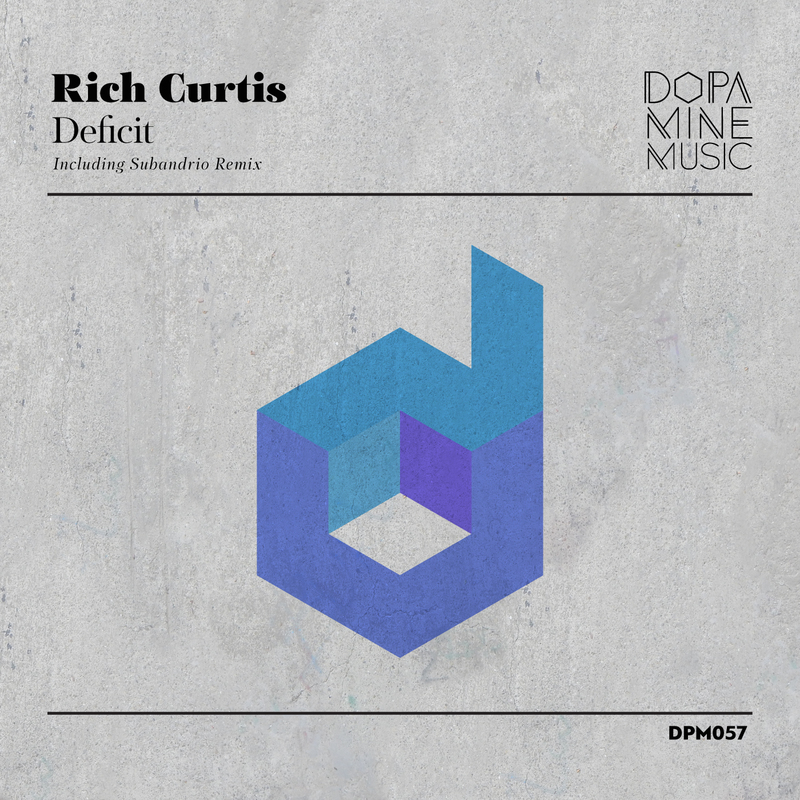 The latest release on Nikko.Z’s Dopamine Music welcomes Rich Curtis back to the label for a brand new single. The Aussie artist first appeared on the Greek imprint in 2013 with a remix of ‘You May Sit And Wonder’ by Vinayak A and then returned in February of 2015 with a remix of ‘Nothing Is What It Seems’ by Nicolas Petracca & Ezequiel Anile. Now back for his third appearance Rich presents his debut single for the label entitled ‘Deficit’ alongside a remix from Subandrio. Rich has long been noted for his unique production traits and boundless creativity. Since his first release on Cid Inc’s Replug Records and continued success on Hernan Cattaneo’s Sudbeat Music and SexOnWax, the Aussie artist has been on top form for over six years. A recent EP for Paul Hazendonk’s MNL imprint has been a summer staple for many DJs and ‘Deficit’ looks set for a similar fate. Beginning with tough beats and an acidic groove it immediately carries a great club sensib ility. Rough and rugged through the first act Rich works in tonal motifs to lighten the mood as the main break approaches. As melodies fade to the forefront the tracks centrepiece comes alive before a wall of white noise ignites the groove for a massive dance floor moment. Brilliant work from Rich. The lone interpretation of ‘Deficit’ is provided by Subandrio who is making his first appearance on Dopamine Music. The Sri Lankan artist has carved out a unique place in the new landscape of progressive house. Released in early 2015, his debut EP for Cid Inc’s Replug Records paved the way for his rugged sound, and he went on to many great successes as a result, including an appearance on Hernan Cattaneo’s Sudbeats 3 collection later that year. Now making his debut appearance on Dopamine Music he puts his own unique twist on ‘Deficit’. The Sri Lankan’s warm, full sound encompasses the original motifs wonderfully as well as adding a multitude of new ideas. Rippling bass tones and fuzzed out effects bring a boundless energy, setting up the lead theme amidst a backdrop of swirling noise. It’s a second act full of tension which a calculated build brings to a sizzling boil before the beats do finally drop and your left with a warm emotive rush. Gorgeous remix from Subandrio who is fast becoming one of the genres brightest stars. Another top notch offering from Nikko’Z’s Dopamine Music. Don’t miss it.